Words are powerful, and in organizational life, everything is shaped by words. Buzzwords, jargon, and slogans all have specific meanings and histories that they convey. Mission statements, marketing materials, and position descriptions are meticulously crafted with the perfect words that communicate the organization’s values. Yet, one word, “toxic,” has found a place in modern organization life and its use is a form of labeling someone, or reducing that person to a stereotype that does nothing to help solve the problem of bad interpersonal behaviors. The primary flaw of labeling someone as toxic is that it conflates the person and the problem. The problem is the person’s behavior and the organizational influences that encourage the behavior, not the person. Perhaps the “toxic” person yells, or disparages other people, but if they didn’t do these things, they would not be perceived as toxic. Yet, the label of “toxic” creates a combination of factors that encourage bad behaviors and impede positive change. FACTOR 1: The weight of the “toxic” label is heavy. Toxicity suggests poison or venom, something extremely dangerous that spreads like an infection. A person who carries that label will be viewed as causing harm and contaminating the workplace. This generalization ensures that every comment or behavior will be viewed through the lens of toxicity. A curt “hey” might be judged to be delivered in the wrong tone and seen as an act of aggression, instead of as a polite yet informal greeting. Each interaction then confirms and encourages the continued interpretation of toxicity, whether deserved or not. This makes it challenging for the person to shed the label, even if they adopt more supportive behaviors, and for the team or unit to move as a whole to more productive relationships. Focusing on their behavior and not their persona, allows them to amend their behaviors and build relationships needed reputation simply by changing their behavior the first time. FACTOR 2: The “toxic” label affects the culture and effectiveness of the workplace. It can lead to patterns of interaction that, once established, seep into the workplace experience. Employees may subconsciously erect protective barriers that shift the nature and quality of their interactions For example, they might limit the duration of the interaction and subsequently fail to exchange useful organizational information. Or, employees who are fearful of being targeted by a verbally abusive co-worker might refrain from speaking up, even when they have information critical to the success of their shared work. FACTOR 3: Labeling an employee may be the easy way out for co-workers. as Identifying one person as “toxic” shifts blame solely onto that person, and exempts others from taking any responsibility for initiating change. The rationale is that if that person is the problem, then it must be impossible to engage with him or her in a constructive manner. It also ostracizes that person, creating breakdowns in communication, and disempowers other people in the organization from altering their own behavior in a way that might reshape the patterns of communication. Everyone in an organization shares some responsibility for influencing the organizational dynamics, but the toxic label hoists a one-sided obligation to change onto the labeled person. FACTOR 4: Labeling an employee is also the easy way out for the organizational leadership. The leadership team can use it as an excuse that relieves them from fulfilling their responsibility to cultivate a positive work environment for everyone. “Toxic” employees often possess valuable subject matter expertise, skills, and organization history that can be costly if lost. As a result, organizations fall into the trap of relocating or insulating that person instead of addressing the behavioral concerns. This might create temporary relief but does little to address the lasting impact of bad behavior. Also, if “toxic” people are eventually pushed out of an organization, they will have left behind an unaddressed legacy of dysfunctional communication patterns that will persist in the organization. Organizations that effectively manage unwanted behavior promote and reward desired behaviors and use behavioral change in performance plans to build accountability and commitment to modeling the desired behaviors. 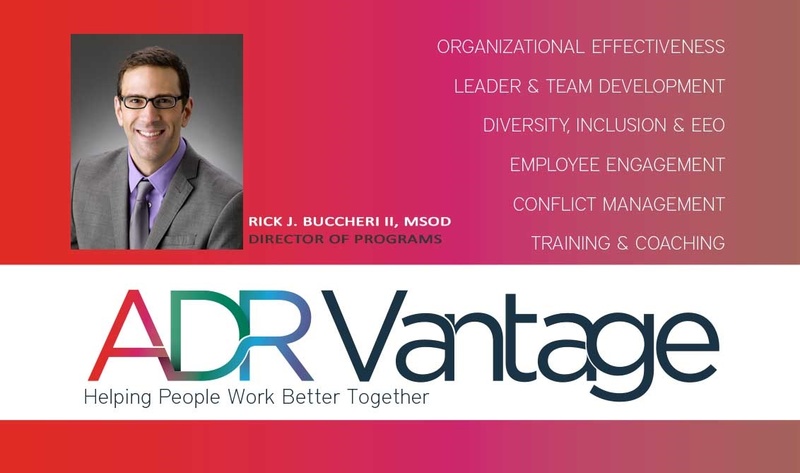 Eliminating the label of a “toxic person” helps the leadership come to terms with the behaviors, helps co-workers to engage beyond their default responses, and will help create a more open and inclusive environment that improves communication patterns and supports a more accepting and supportive workplace culture.